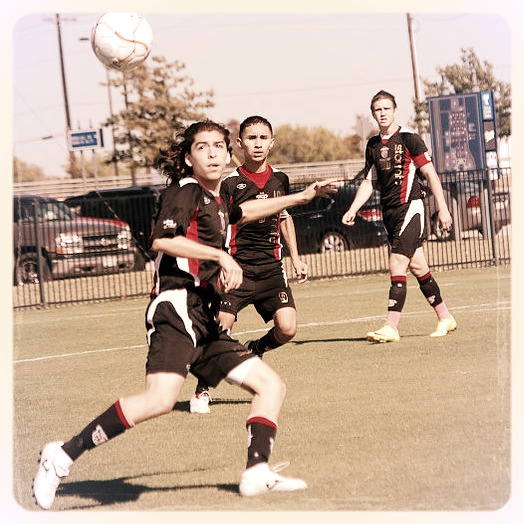 Storm FC (Futbol Club) is a soccer club for youth players in the North Texas region. Storm FC was founded in 2001 as a non profit 501 (c) 3 organization. We started life out in Ennis Texas with three teams, '88 Boys, '90 Boys & the '92 boys. We currently have our offices located in Waxahachie with our practice facilities also in Waxahachie. We have a West division that practices out of the Weatherford area, a Central Division out of Arlington/Mansfield/Grand Prairie area and our North East division out of Pensylvania. The club coaches youth players of all ages and backgrounds. We have players that want coaching as well as players who wish to play on a competitive or academy team. There are many options for youth players to choose, we set ourselves apart by giving each player a family focused and centered experiance . The club has a foundation upon faith, and life development. We want our youth to become stand up citizens of this great country, Our future is our youths future and this is what we invest in. Soccer is our business but we use that vehicle to create an environment that is conducive to learning, being respectful, having strong self belief and also giving up their time to help others within the community. To accomplish our mission we have developed a programs within the club including a community outreach program called "Futbol in the Community". We believe that our players are a long term investment not only to become confidend and intelligent soccer players but also stand up citizens to our community. Contact our club manager Susan Strnad (972.989.6294), or our Director of Soccer Operations, Antony Penna (254.220.3284). Our academy manager (Players up to age 10) can contact Antony. We have many teams in areas that are I-20 corridor and south, as well as to the west towards Weatherford. All teams in Storm FC are for both boys and girls.